Certainly, this summer's olympic games in London will create a degree of chaos, including an extraordinary number of tourists in the capital and a congested transport system, with this in mind, some very creative and forward thinking folks at Selfridges has commissioned a series of ten limited edition backpacks from British and International designers to give their interpretations on what it would take to survive urban living during this tough summer of sport. The Urban Survival Backpack range exclusive to Selfridges includes designs from Anya Hindmarch, Mulberry, Vivienne Westwood, 3.1 Philip Lim, Paul Smith, Oliver Spencer, Barbour, Kiehl's, Nike and Selfridges. 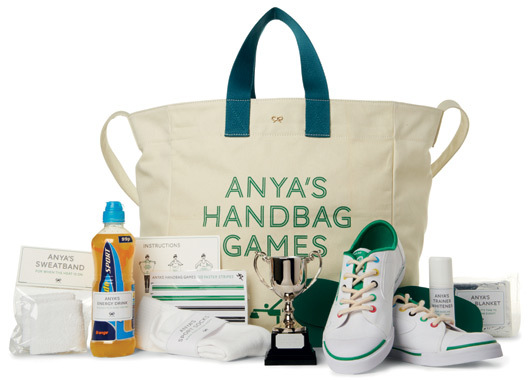 Anya Hindmarch's Urban survival canvas bag fully embraces the games with her spacious holdall which comes fully equipped with sports-inspired memorabilia, including a pair of Dunlop trainers, a metal trophy, a bottle of energy drink and a foil blanket. 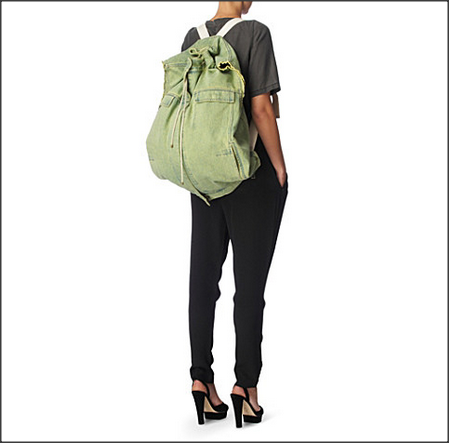 Emma Hill urban survival backpack - Mulberry marks an iconic moment in British history with this exclusive Alexa-style backpack. 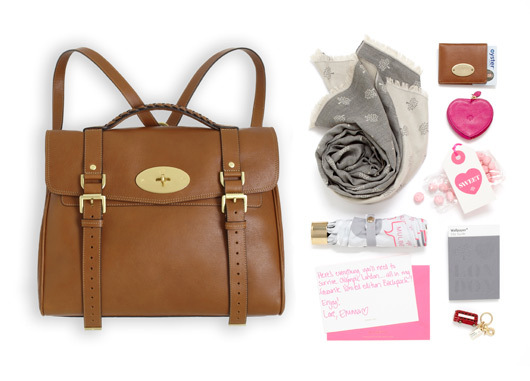 Crafted from natural leather, this cult-classic comes loaded with Mulberry goodies, including a coin purse, card wallet, logo-printed umbrella and cotton and silk-blend scarf. 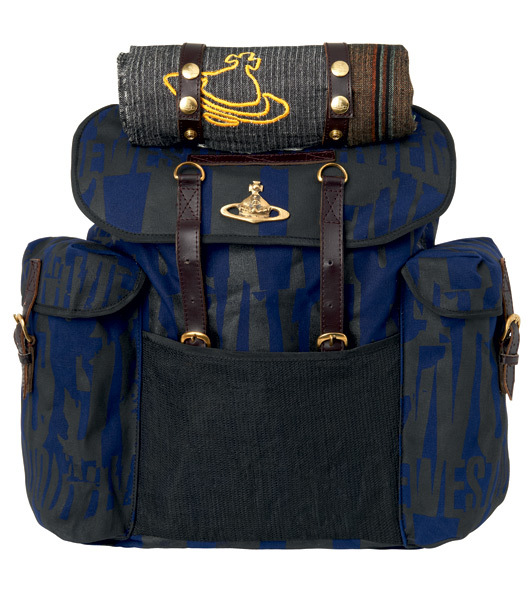 The Dame of British fashion, Vivienne Westwood, offers the exclusive backpack, filled with must-have tools for surviving the British summer. 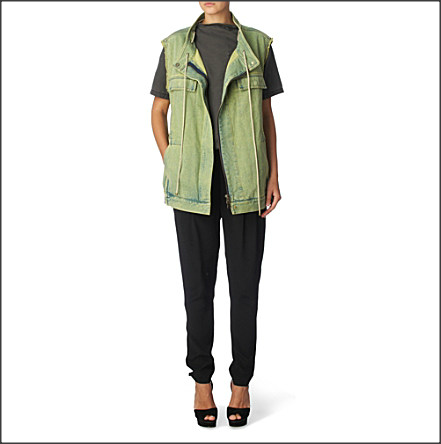 3.1 Phillip Lim's urban survival backpack will see you through the sporting summer. 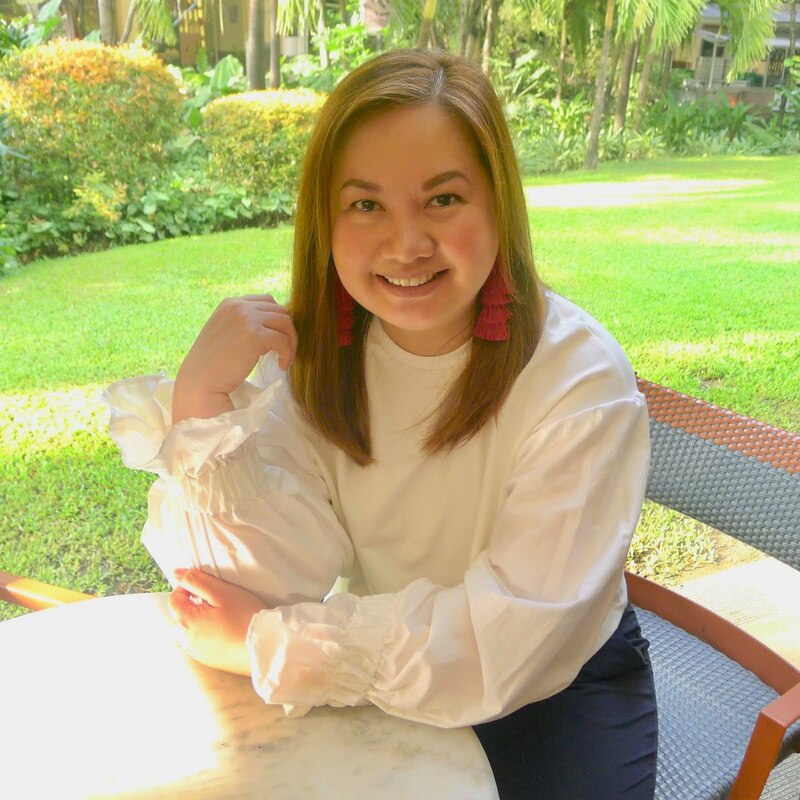 The chic backpack can also be worn as a sleeveless jacket and suggests staying away from the busy streets with Nars bath products, a CD, a DVD and more. 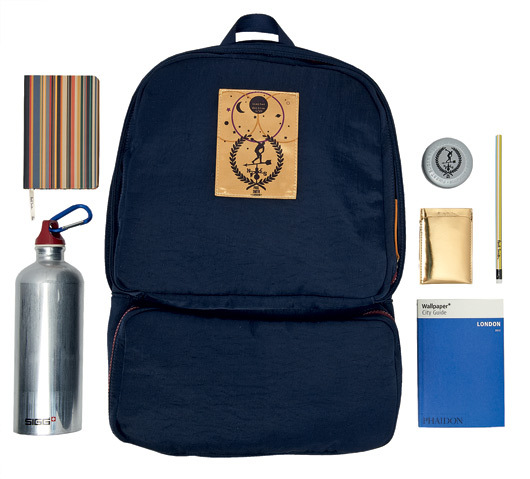 Paul Smith's urban survival backpack is filled with everything you'll need to negotiate London during the games, the navy backpack includes a signed canvas bag, an aluminum water bottle, Paul Smith's signature multi-striped notebook, a London city guide, a gold phone case and a yoyo. 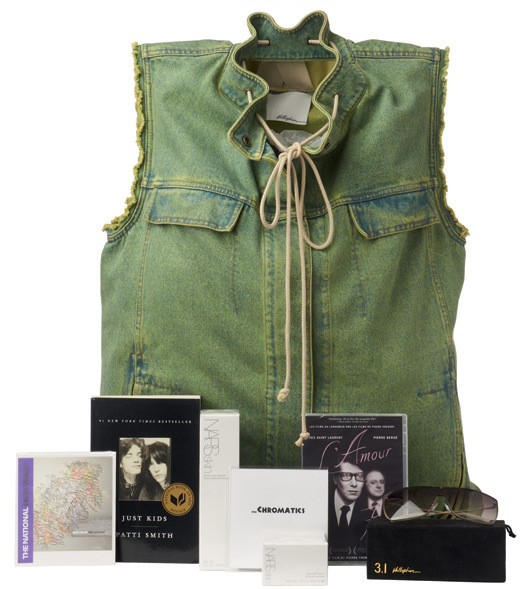 Oliver Spencer's Urban survival backpack comes with a Kway cagoul, London A-Z guide, Tynant water, Sharps aftershave gel and a classic Oliver Spencer tee, exclusively available at Selfridges. The rucksack it comes in or Mini Canoe Pack to be exact is the result of a collaboration between Oliver Spencer and outdoors specialist Seil Marschall. Hand made in Germany, the Mini Canoe Pack uses a durable waterproof canvas and contains plenty of compartments for a well-ordered day out at the Olympic Stadium. 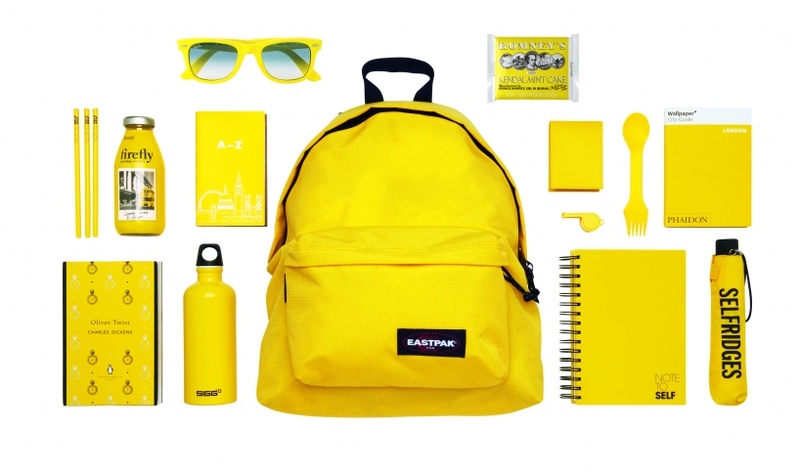 Selfridges' own Urban survival Backpack and kit, features a bespoke Pantone 109 yellow Eastpak bag. Inside you’ll find a selection of Selfridges yellow products including an umbrella, a special edition Wallpaper City Guide, a bar of Kendal Mint cake and other practical and fun goodies. 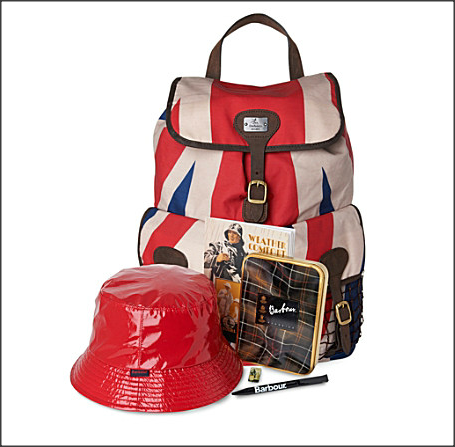 Barbour Beacon backpack made of waxed cotton-twill with Union Jack print comes with a hat, pin badge, archive note book and pen. Kiehl's Celebrate Britain backpack - The Union Jack design backpack contains miniature essentials which includes Kiehl's Crème de Corps with an exclusive Celebrate Britain label, Ultra Facial Moisturiser, Ultra Facial Cleanser and Amino Acid Shampoo. 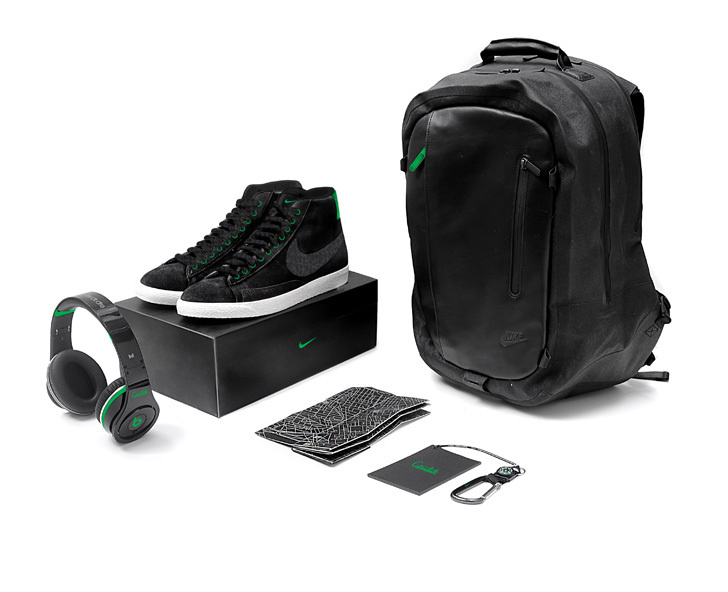 Nike's urban survival kit comes with a beats by dr. dre headphones, a pair of Nike rubber shoes, a map and a keychain. 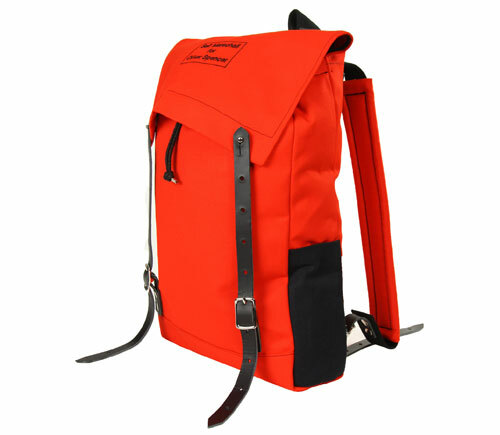 The Urban Survival Backpacks are available at Selfridges London’s Big British Shop on G and online.